James is an up and coming poet and novelist who is passionate about writing about psychology and mental health. He approached us for help profiling himself as an author, increasing interest in his work, and encouraging further sales via a new website and blog. We started by developing a brand for James, taking inspiration from the artwork on his recent novel. We picked a monochromatic palette for the website with a pop of bright yellow. The dark and moody design was both emotive and creative; a true reflection of his writing style. We ensured his publications were clear and linked to amazon for instant sales. James was provided with a fresh design, and a user friendly website that profiles his recent work excellently, giving him the tools to increase sales. The implementation of the blog has helped him create an online community for readers to keep up-to-date with his work. 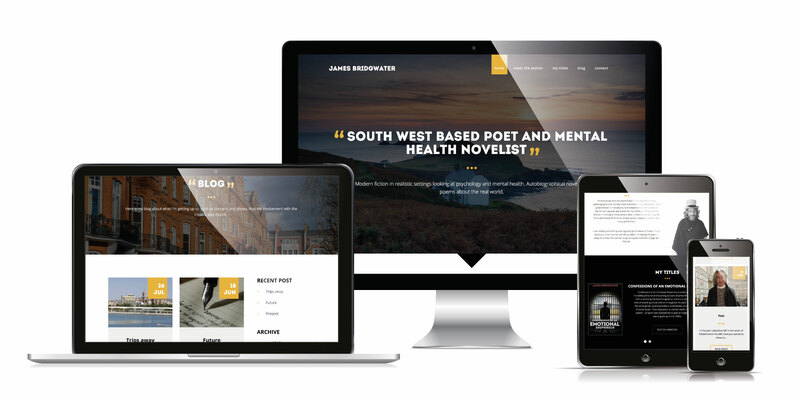 Built with a bespoke content management system, James is able to effectively make updates and have full control over his site.